Poplar Adolescent Unit - Education Centre has been educating Young People since 2009 and is a Specialist Education Provision for Young People with Mental Health difficulties. The Education Centre is based within Rochford Psychiatric Hospital, near to Southend-on-Sea, Essex. Poplar Adolescent Unit is an acute in-patient ward for Young People aged between 11-18 with conditions which prevent them from attending their local schools, colleges or employment. 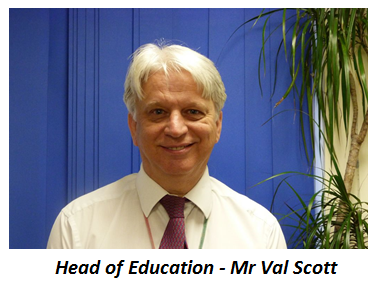 The Education Team comprises of Head Teacher, Finance & Administration Officer, Teaching Staff, Behaviour Support Worker and Administration Assistant. Poplar Adolescent Unit - Education Centre have completed two Ofsted Inspections which rated `Good’ with `Outstanding’ for Behaviour and Safety. The Unit has 16 beds available at present and are predominantly for Young People who live in Essex, Southend-on-Sea, Thurrock, Luton and Bedfordshire. However, we have supported Young People from other areas and overseas when necessary. Difficulties that can affect the young people include depression, suicidal ideation, psychosis, obsessive compulsive disorder and anorexia nervosa. The young people come from a range of socio-economic and ethnic backgrounds that reflect the catchments’ areas. The average admission lasts between 4-6 weeks and females tend to outnumber males by at least 2-1. On admission Family backgrounds and histories are examined through a detailed Clinical Assessment and liaison with schools / colleges. When the pupils have been assessed, generally all pupils will be registered as Special Educational Needs Support or Additional School Intervention. This is however if they are not already subject to a Statement of Special Educational Needs and Disability (SEND). We aim to prepare young people for re-integration by identifying their individual curriculum requirements and supporting their personal, social, health and emotional needs within a safe and nurturing environment.